Welcoming a new baby into this world can be an amazing experience for adults who are ready to take on the joys of parenthood. Whether you’ve conceived or you are adopting a baby, starting a family can be an intensive process that requires a lot of preparation and planning for the best results. We understand the bliss associated with a happy family life, and our adoption center is here to provide more opportunities for adoptive parents and children in need. A is 4 Adoption is proud to serve as your best alternative to an adoption agency in California; our personalized services and close experience with the adoption process helps to provide complete birth mother help for those in need and guidance and support for adoptive parents. We work closely with everyone involved to ensure the best outcome for the child at the center of it all. Our staff is here and ready to help guide you through this complex adoption process. 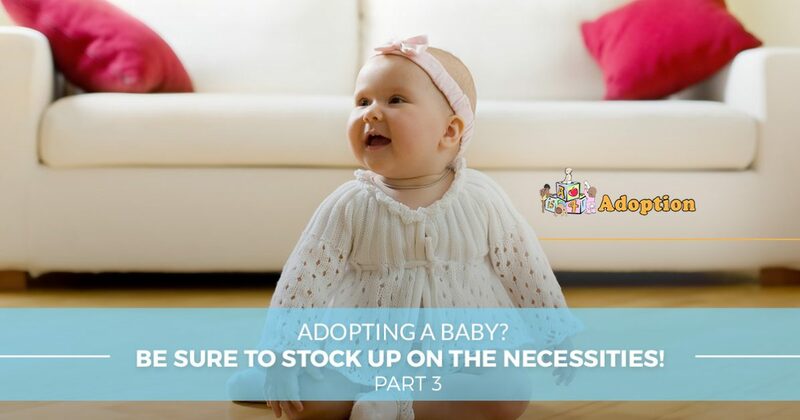 In the meantime, here is our third post highlighting the top items to stock up on when adopting a baby. If you are ready to grow your family, or you are pregnant and are not sure what to do next, be sure to contact us now for further assistance. A thermometer. Fevers are common and may be dangerous through early childhood. While many parents invest in ear or rectal thermometers, there are products that scan the forehead for a quick and non-invasive temperature check. Baby-safe pain treatments. Items that can help with your child’s fever, pain, or discomfort should be purchased to minimize problems. Acetaminophen, ibuprofen, and other options are acceptable as long as the instructions are tailored for infant use. Rehydration fluids. Dehydration can be a serious concern for new parents, and active toddlers tend to expel a lot of energy, so be sure your baby is protected with electrolyte-rich products such as Pedialyte. Decongestants. Even the most minor colds can prove very disruptive for your little one. Be sure you buy the right decongestants, nasal aspirators, and other products intended to help with boogers. Medicine droppers/spoons. All of the helpful products given to your infant will need to be measured in exact doses to ensure a healthful outcome. Comfort items. Sometimes your baby will deal with a problem such as an upset stomach, which may derive from colic. Products such as heating pads, creams, and more can help to soothe your infant. Stroller. This crucial vehicle helps parents and baby alike to get fresh air and sunshine while on foot. 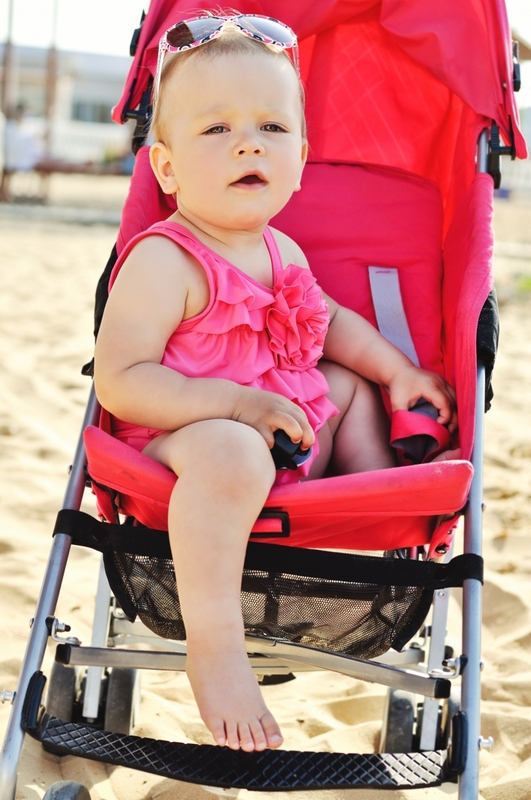 Take the time to find a stroller that will enhance your convenience while matching your lifestyle. Stroller accessories. Your new device will require blankets, toys, and other add-ons to create a comfy and entertaining experience for your baby. Baby carriers. A wide range of carriers are available to keep your infant close and safe while you travel the world. Be sure to do your research in advance to find the right product for your lifestyle. Diaper bag. This critical component will hold all of the necessities for your infant, so be sure you find a diaper bag that perfectly fits your family’s needs. Carseat. New parents will face the fear of putting a car seat in their vehicle for the first time. Try to find a seat that can grow with your little one. Portable cribs/playpens. Providing a comfortable space for your infant to sleep and stretch out can be essential when outside of the home. Once your little one becomes mobile, it will be imperative to baby-proof your house to minimize the dangers present. Restricting movement through baby gates, safety latches, cabinet locks, and other products can help to keep your baby from exploring dangerous areas. Our adoption center works with a lot of first-time parents, and our advice is always to inspect your house for potential hazards. Your windows, for example, can benefit from guards that help to keep little ones from opening and closing operations. Baby-safe blinds are also important, as the cords from these products are very hazardous. From outlet plugs designed to prevent shocks to corner guards that protect from the sharp corners of furniture, there are many avenues for you to baby-proof your home. Our list is meant to be informative, but it is by no means comprehensive. If you are interested in learning how to adopt a child, A is 4 Adoption is here and happy to help. We strive to be your best alternative for any adoption agency in California, delivering personalized results to get more children in need into the arms of more loving families. We specialize in providing comprehensive birth mother help to provide the best experience for everyone involved. Contact us today to learn more or to begin your private adoption process!